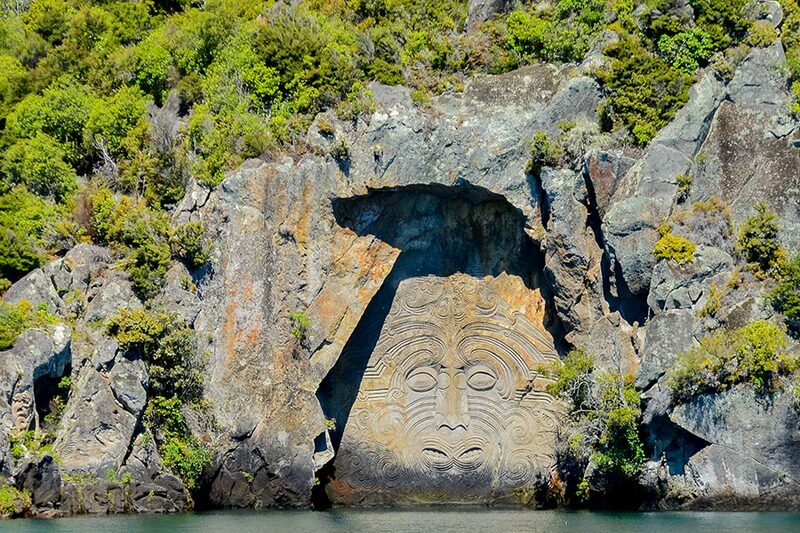 Visit the world-famous Maori Rock Carvings on a voyage of discovery, past Acacia Bay, Hot Water Beach and the Lakefront. 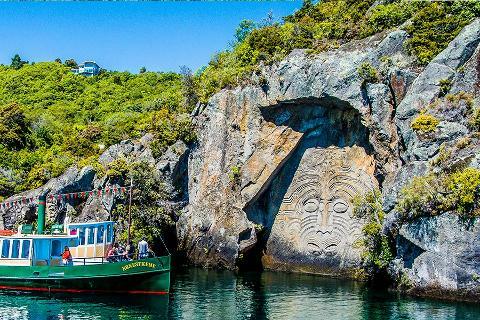 Enjoy fun and informative commentary, refreshments on board, comfortable seating, free Maori Rock Carvings information brochure & postcard, Free WiFi on board. 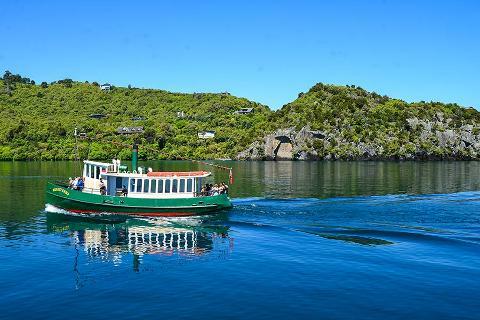 Before reporting to the boat please go to the black boat harbour booking office at 65 Redoubt Street, minimum 15 mins before your cruise is scheduled to depart, to collect your boarding pass. Thank you. 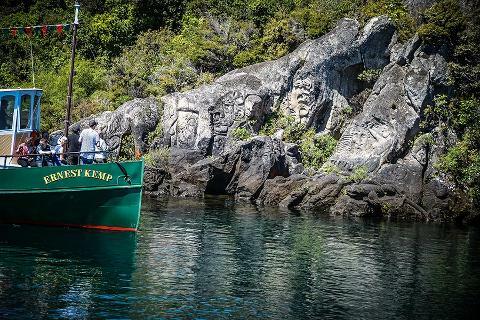 24 Hour Cancellation Policy in effect - cancellations made within 24 hours of the scheduled cruise will incur 100% Booking fee. 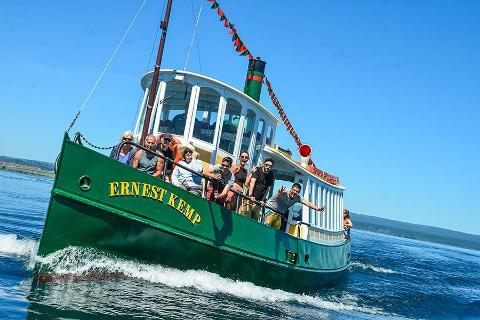 Your scenic cruise may be on our other boat Top Cat. The cruise and inclusions are the same, just a different vessel. 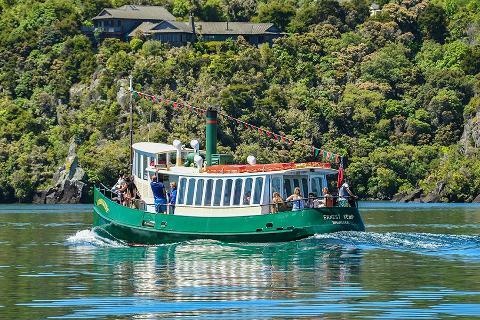 The boat allocated to your booking is dependent on prior reservations.